Chelsea are set to offer three of their young stars to AS Monaco as part of the deal that takes Radamel Falcao to Stamford Bridge. The Colombian hitman has been linked with a move to West London since coming to the end of his loan deal at Manchester United at the end of the campaign. Louis van Gaal opted not to keep the striker on at Old Trafford following his underwhelming season and his miserable four-goal haul, but his class has piqued the interest of Jose Mourinho. The Portuguese coach is keen to sign the forward on a season-long loan deal, and according to the Telegraph, the forward is expected to arrive at Stamford Bridge next week, according to the Telegraph. However the transfer may come at a cost, with Monaco likely to expect a hefty fee to lend Chelsea one of their most high-profile players. The Blues are understood to be hoping to negotiate Monaco down on that fee by offering three of their brightest talents to sweeten the deal. The Telegraph understand that the agreement is ’90 percent done’, according to a source close to the player, and that this final twist is all that is preventing confirmation. While no players have been named as being set for a move to the Club of the Principality—and the chance to potentially feature regularly in the Champions League next year—the Telegraph speculate that Nathan Ake, Isaiah Brown and Andreas Christiansen are those being considered for a move. 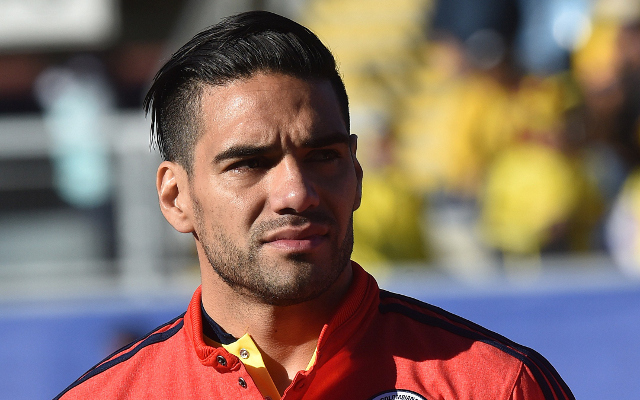 Falcao has spend the last few weeks competing at the Copa America in Chile. Colombia stuttered at the continental showpiece, and only escaped into the knockout rounds by virtue of being one of the best two third-placed teams. The troubled Monaco hitman failed to ignite, and despite converting his spotkick in the quarter-final penalty shootout defeat to Argentina, didn’t managed to find the net in the tournament.